Clare is 134km North of Adelaide. If driving, take the Main North Road from Adelaide which takes you directly to the town of Clare. There is also a daily bus service available from Adelaide to Clare. Some farms will provide dorm style bedding or will accommodate harvest workers with camper vans or camping equipment. 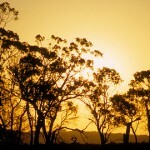 There are also a variety of hotels, motels, caravan and cabin parks, and farm stays throughout the Clare Valley, centering around the towns of Clare and Auburn. Check out the variety of museums and galleries that pay homage to the rich historical legacy of the area. Hire a bike and see how many of the 40 wineries you can visit in one go. Head to the nearby town of Burra and see the epic disused mines.